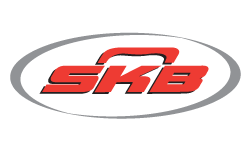 From drums to guitars to keyboards, when your gear needs to go on the road, it's bound to survive the journey when traveling in an SKB hardshell flight case or gig bag. Call our Gear Experts now for help with your purchase: 800-460-8089. New from $394.99 Only 2 Left! New from $354.99 Only 2 Left!